Another beautiful day where all I want to do is lounge around the yard. 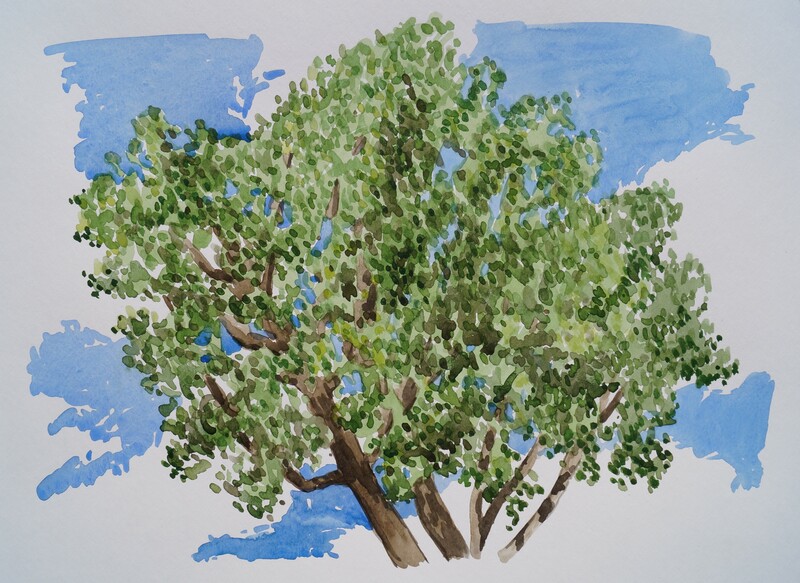 I mowed the lawn and did a little weeding, and then I just sat down under my honeysuckle tree in the dappled shade to watch the huge tree across the alley rustling away in the very strong wind with this super blue sky behind it. Then it occurred to me that I should be painting it, not just watching it. 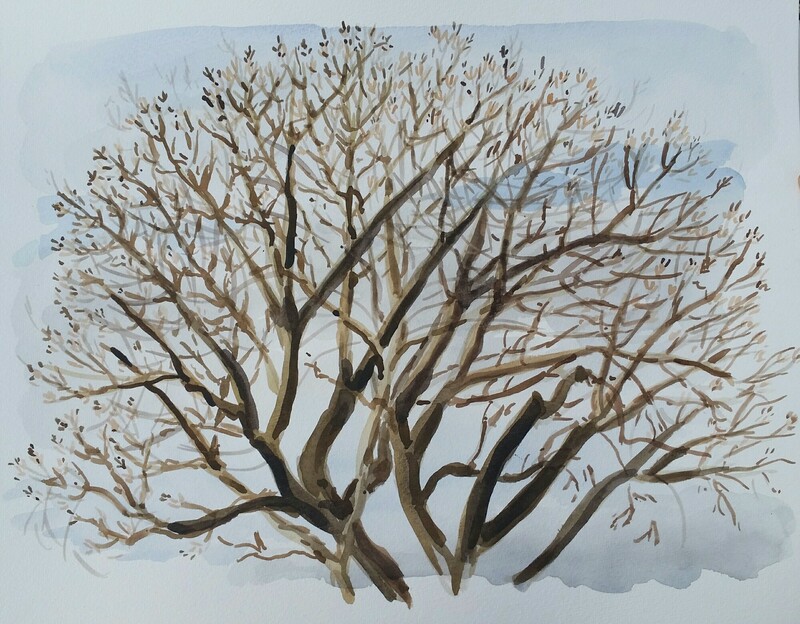 I painted this tree in the springtime before it had any leaves, and it seems to appear smaller when you can’t see all the branches. Although when you are sitting in the yard looking at it, it still looks pretty huge. I’m so happy that you continue to practice your art. Lovely pieces! It’s fun to see that you are continuing the 30-day projects you began at art school. LOVE your daughter’s work, too!